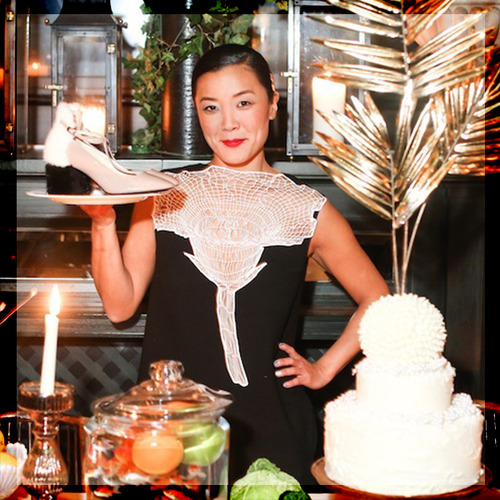 When it comes to designer Eugenia Kim, one immediately thinks HATS, but now, she’s adding shoes to her arsenal. 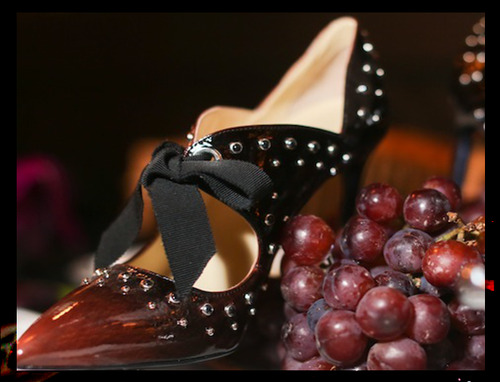 And like her beautiful + sometimes very witty hats, Kim introduced her luxury shoe collection with the same amount of detail plus a whole lot of drama. 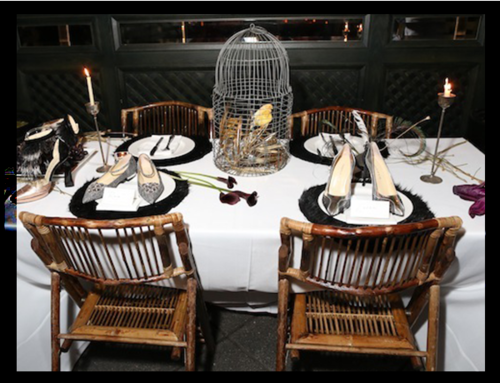 The 15-piece collection, was celebrated with a decadent dinner party inspired by Marie-Hélène de Rothschild’s iconic Surrealist gatherings, including live yellow canaries, turtles + goldfish. Art Nouveau interiors, glam rock icons including David Bowie, as well as Anita Pallenberg, inspired the collection. Kim’s take on shoe classics included leather patchwork shapes, ornate swirls + ostrich feathers, mimicking Art Nouveau motifs, as well as several platform silhouettes. 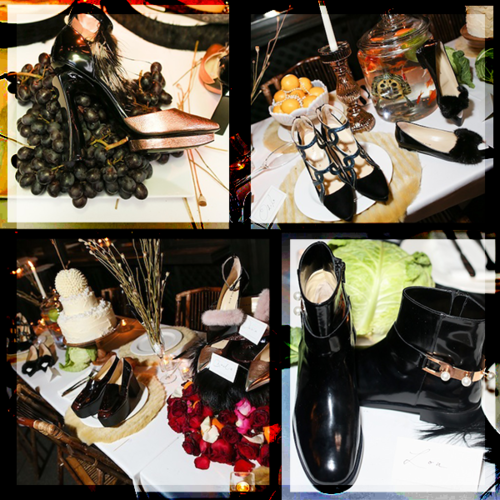 Chelsea boots were adorned with rose gold hardware + pearls on the back, while mink fur + ribbon highlighted others. After seeing this collection you kind of wonder, what took so long for Kim to design shoes, but whatever the reason, aren’t you glad she finally did?